Come visit our gorgeous studio located in downtown Louisville in the historic Butchertown Market on Story Avenue. We've opened our studio for brides to get ready in for their weddings! Why pay for 2 nights at a hotel that has awful lighting? 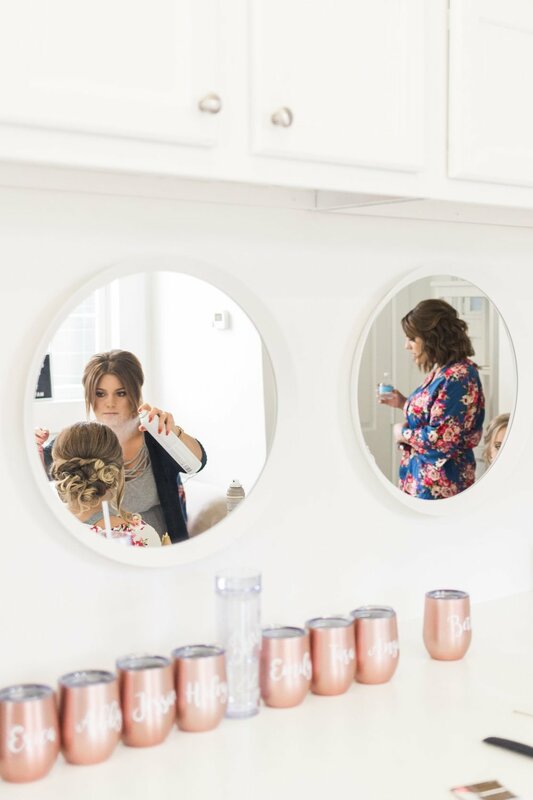 Most venues don't have desirable bridal suites and your getting ready photos are too important. This studio was designed by a professional photographer, specifically for beautiful photos. If we are photographing your wedding, you'll get 20% off the bridal room rental price! We have 12 foot ceilings and 2 full walls of windows. With this dreamy light, all of your bridal portraits are going to be everything you envisioned. Even if it's raining, the studio is still fully lit and can even be an alternative for bridal party photos. Ask any hair and make-up artist, and they will tell you the absolute best light for getting ready is natural light. Don't get ready in a room with yellow florescent lights and risk your makeup being affected.